My brother used to keep a pet slow worm and, having seen one in the wild recently (although I am convinced it was a smooth snake! 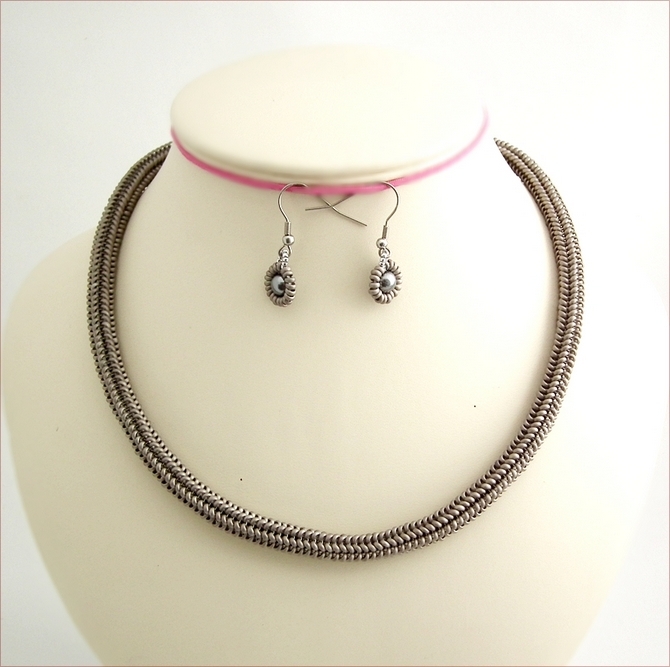 ), I was inspired to make this necklace and earrings set. 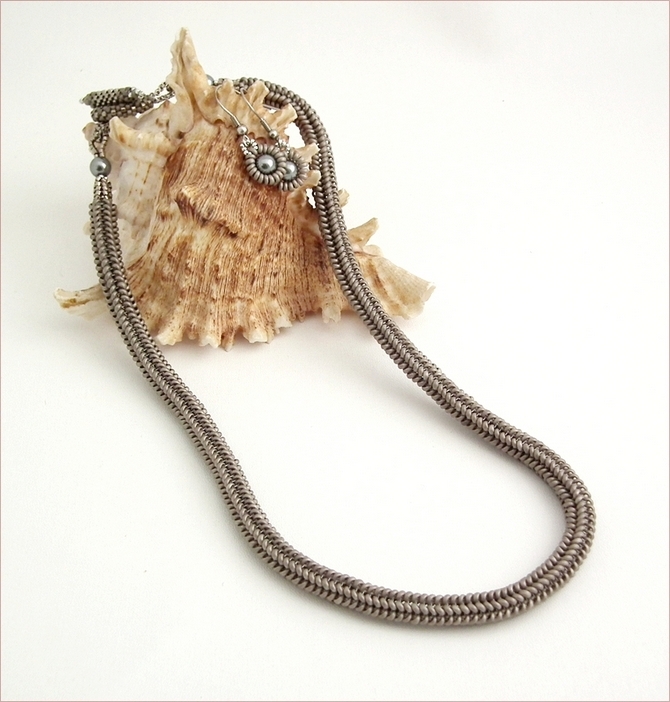 Anguis fragilis is the Latin name for slow worm so I've named this piece Beady Anguis. 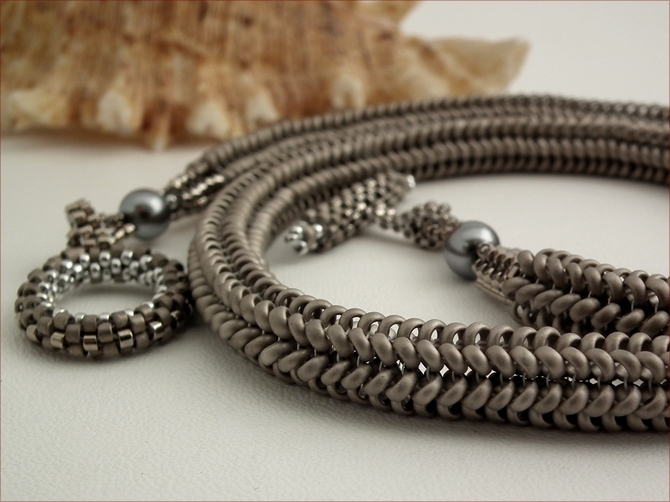 I used matt silver seed beads in herringbone stitch with some shiny silver delica beads and Swarovski crystal pearls in grey for the finishing touches. 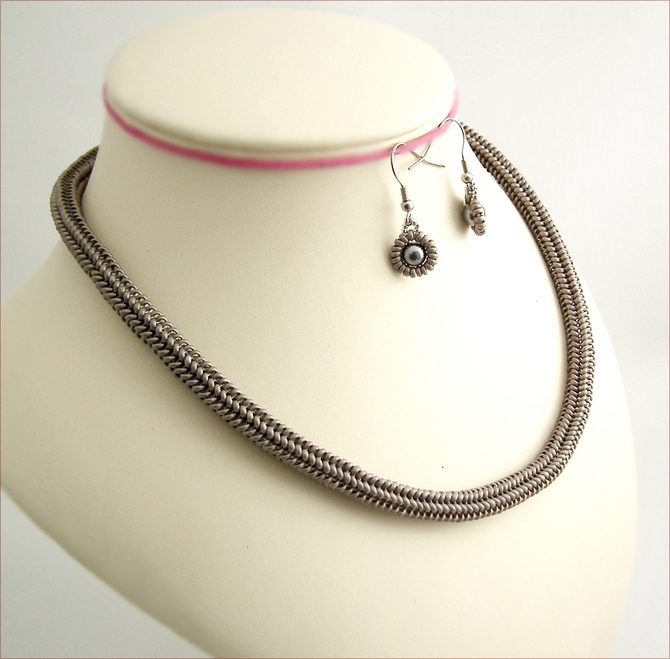 The necklace is 19" (485mm) long, fastening with a hand stitched toggle clasp. 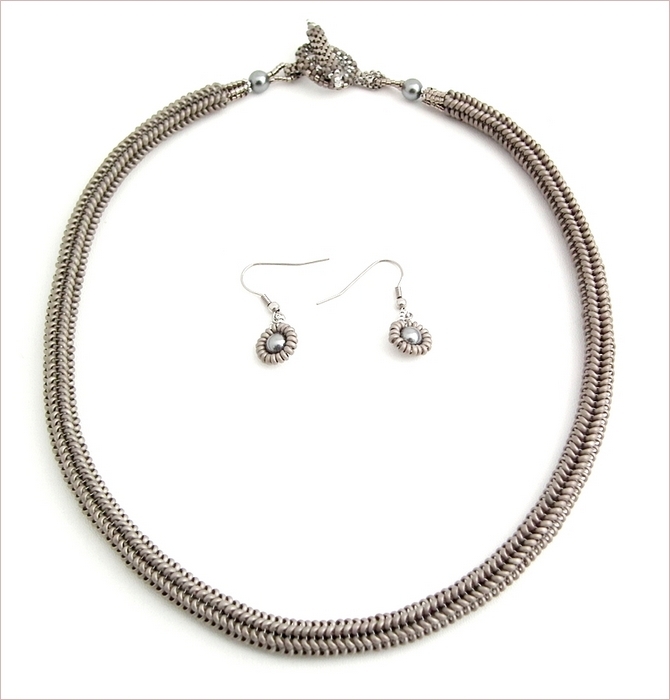 Lovely and slinky but with a matt finish for added interest. You'll find this goes with so many things!